Etteridge Community New homes now under construction! 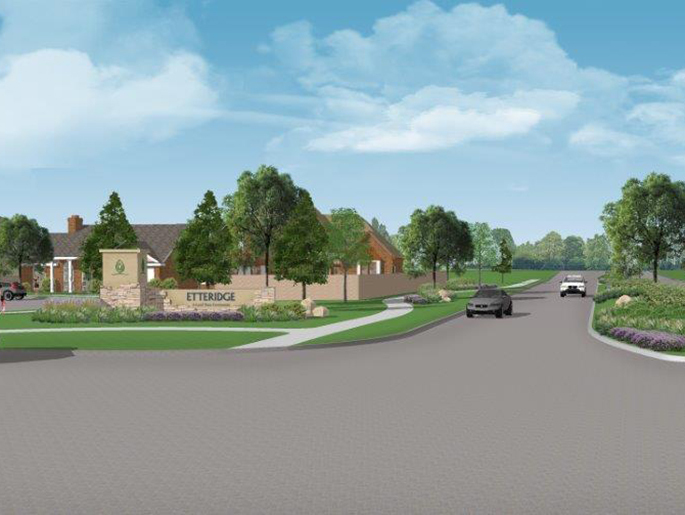 Located conveniently one-half mile North of Beltway 8 in the growing residential area of Humble, the new home community of Etteridge is a close-knit and intimate 45-acre Land Tejas development. Residents enjoy a peaceful rural setting while maintaining the commuting convenience of being just minutes away from North Houston. School-aged children residing in Etteridge attend top-rated Humble Schools, and with two newly-planned on-site schools children residing in Etteridge are able to walk to school and enjoy living in a close and suitable family-orientated community. With easy access to Beltway 8, Highway 59, and FM 1960, residents of Etteridge are in the ideal location for prime employers, shopping, dining and entertainment, and leisurely recreation and nature options. Residents also enjoy close proximity to a number of unique family-orientated hotspots, ensuring that quality family time as well as a top-rated education are available to the families residing in Etteridge.